In need our MacBook Pro screen repair service? One of the questions we hear the most is, “do I have a Retina MacBook Pro or a Non-Retina MacBook Pro?” The answer is, if there is a DVD slot on the right side of your computer to put disks in, you have a Non-Retina MacBook Pro. If there is no DVD slot on your laptop, you have a Retina MacBook Pro. If for any reason you are unsure of what model you have, feel free to contact us or fill out this form and we will send you a link to exactly which service you need. This 15 inch MacBook Pro with a retina display is a prime candidate for our MacBook Pro Screen Repair service! 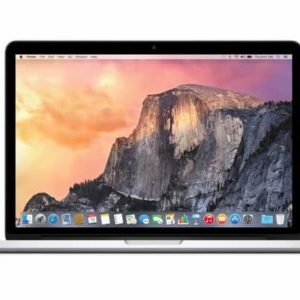 Does your 13 inch MacBook Pro have cracked or damaged LCD? Our MacBook Pro screen repair service is for you! Perhaps it took a hit from the back and now the image is distorted, but the glass seems to be fine? If the LCD is panel is the issue, the price for a new LCD panel installed in a 13 inch MacBook Pro is $195 parts and labor. 15 inch MacBook Pro A1286 LCD replacement. This service will be completed within 24 hours of us receiving your computer. It doesn’t matter if your MacBook Pro was closed with the earbuds sitting on the keyboard, took a shower in the backyard when the sprinklers went off, or got ran over by a bike while inside your backpack, we can fix it! Apple recently discontinued the 17 inch MacBook Pro A1297, so if you are one of the few who own one, you know how important it is to keep it in tip top shape. 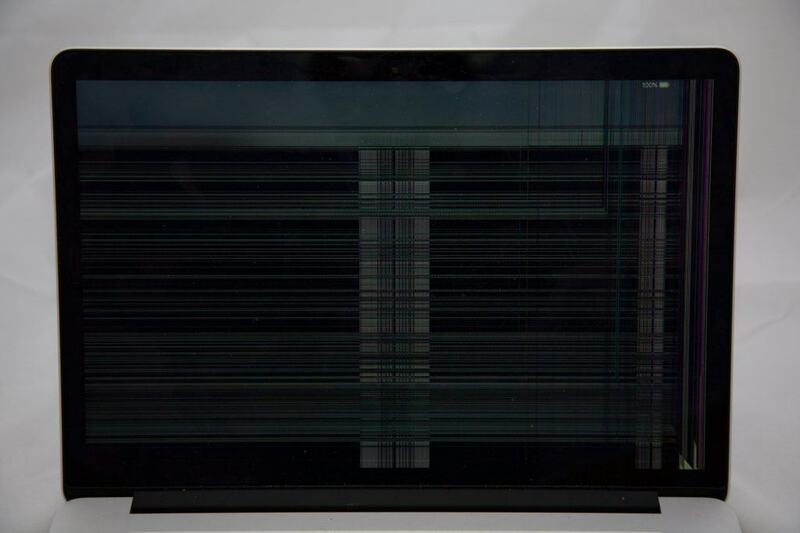 Our MacBook Pro screen repair service will keep fix your damaged display! 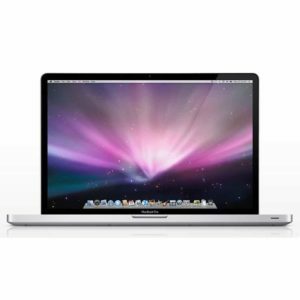 We offer component level repair on the 17” MacBook Pro, including LCD replacement for $250. This service falls under our fast 24 hour repair turnaround. Having cracked glass on a 13 inch MacBook Pro is one of the more common issues we see. If the image on the screen is not distorted, but there is cracked glass over the top of the image, this is the service you need. 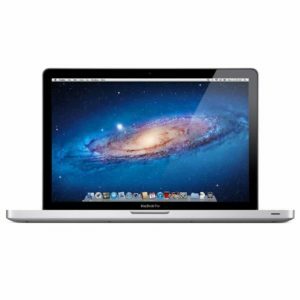 We can replace the glass on 13 inch MacBook Pro A1278 for $175. This repair is not available for Retina MacBook Pro’s. This repair falls under our 24 hour repair turnaround. Cracked glass on a 15 inch MacBook Pro can be caused by many different things. We have seen computers that have taken a hit from a ball, a flying toy, and even an angry (jealous) pecking bird. If the image on your computer is not distorted, but there is what looks like a cracked windshield between you and your computer, you need glass repair! 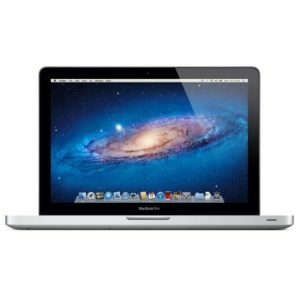 Glass repair for a 15 inch MacBook Pro Unibody A1286 is $175. This repair is not available for Retina MacBook Pro’s. The 17 inch MacBook Pro is no longer sold by Apple, but if you are one of the few that has one, you know the screen is massive! Those extra square inches on the screen is basically an extra chance of having something hit the screen. 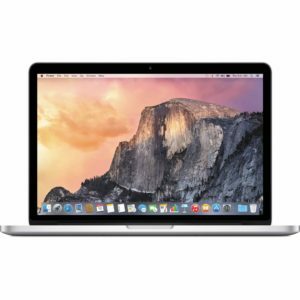 If your computer looks like it has a cracked windshield, we can replace the Glass on your 17 inch MacBook Pro A1297 for $175 parts and labor. Do you Need both the Glass and the LCD replaced? Below are the repair services if you need both the glass and the LCD replaced. We are a full service repair shop, specializing in component level repair. This means we offer services that most shops will not offer because of the difficulty level. A lot of Apple repair shops will repair computers by replacing entire assemblies. For example, if you have a cracked LCD panel and your MacBook Pro but your glass and aluminum lid are fine, a lot of shops will replace the entire top screen assembly (lid, glass, isight camera, lcd, lvds cable, hinges, etc) rather than just replacing the bad LCD panel. We work hard to replace just the broken components, making our services noticeably less expensive than most shops. We have a few specialties that we are very proud of; display repair (component level repair including Glass repair, LCD repair, and Backlight repair), logic board repair (component level repair including fuse replacement, LVDS connector replacement, and more), and data recovery (both level 1 recovery generally known as software recovery, as well as level 2 recovery generally known as hardware recovery). You can find examples of the services we offer below along with pricing and forms for starting service. If there is anything wrong with your computer that is not listed below, just let us know and we will get back to you with a custom quote! We repair everything on MacBook Pro’s. Some Apple models have glass covering the LCD panel. GLASS : If your screen looks like a cracked windshield (image is fine, but there are cracks over the top), you have cracked glass. Good news! We can do MacBook Pro screen repair for just your glass if that’s all you need. LCD : If the glass looks fine, but the image is distorted (splotches of black, colors bleeding, lines on the screen, etc), you have a cracked LCD. Good news! We can do MacBook Pro screen repair for just your LCD panel if that’s all you need. GLASS + LCD : If the image is distorted, and the glass is cracked, you need both the LCD and the Glass replaced. Good news! We offer MacBook Pro screen repair for both glass and LCD issues together.